In sports, the name on the back of a jersey can garner more attention than the one on the front. It’s Lebron James, not the Cavaliers, or J.J. Watt, not the Texans. These stars are put on pedestals and heralded for their incredible skill and accomplishments. They share one important key to success though, argues Jay Simons, president of enterprise software company Atlassian: they belong to great teams. Simons believes that when it comes to both sports and business, it’s the power of the team that makes the difference. Teams are the real reason why organizations are successful — not just the superstar power of a few standout individuals. Simons is not alone in this belief. Over 400 organizations including Nike and Virgin have invited Simons and his team to teach Atlassian’s method for assessing, monitoring and improving team health. 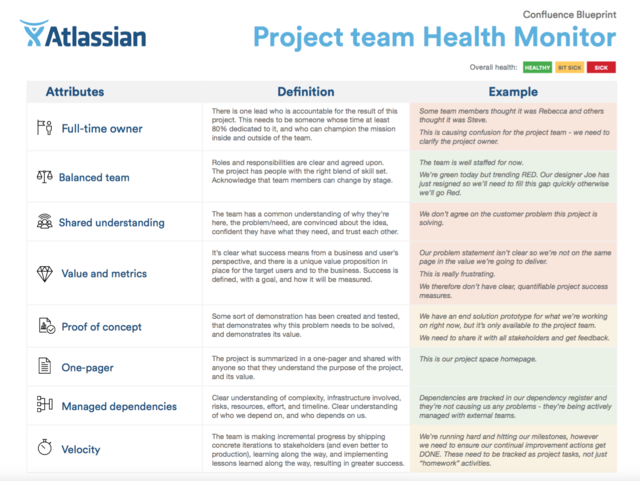 Atlassian has open-sourced its team playbook, which includes team-specific health assessments as well as tactics for working through common pain points, like leadership deficits or conflicting priorities. Simons and his colleagues are so passionate about the topic that the company’s NASDAQ ticker symbol is TEAM. Prior to Atlassian, Simons was the VP of Marketing at software-maker BEA Systems, which was acquired by Oracle. 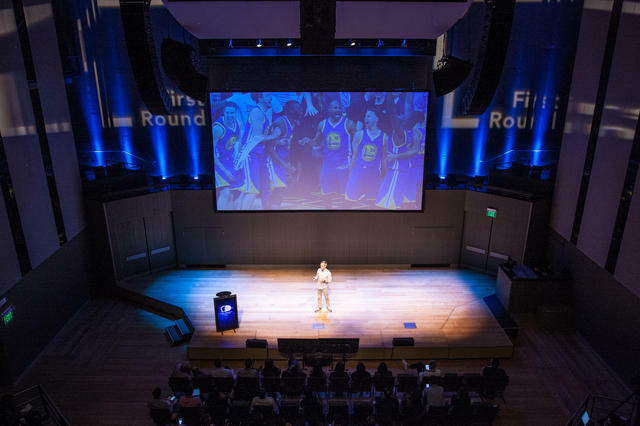 Drawing from his talk at First Round’s CEO Summit, Simons outlines the eight traits of successful teams, determined after an studying hundreds of Atlassian teams across departments. He lays out the six-step process that’ll help teams of any kind, at any size company understand where they might need improvement. Lastly, Simons shares examples of how Atlassian teams have made adjustments to their processes after assessing their performance with the help of a health monitor. Early on at Atlassian, Simons and his colleagues regularly assessed individual performance, as most companies do. Those performance reviews would help identify the roughly 5% of the overall workforce that was underperforming. They studied this group and noticed that, in the vast majority of cases, they were comprised of formerly high-performing people who were delivering below-average results. That’s when they spotted an unfortunate trend: star individuals — those rated highly in consecutive performance reviews — who were moved to struggling teams then became underperformers themselves. Simons and other managers began to ask how they could determine what was missing and broken. That’s when they realized that team health is a crucial priority for any growing organization. Atlassian began to hone in on the issue after a few painful incidents borne of bad teamwork at the company, which operates on five continents and employs over 1,600 people. Simons and his team looked at teams and projects that had been successful — ones that had become company lore, were mentioned with smiles, or spawned their own T-shirts — and contrasted them with bad projects — the ones that were mentioned in hushed tones or silence. Qualitative data gave Atlassian enough of a hypothesis to quickly pinpoint and test attributes, rather than get mired in a complex initial methodology. Comparing and contrasting sentiment on successful and unsuccessful teams helped propel the process out of the gate. The ultimate goal of examining these two categories of teams was to hone in what made the successful teams great and identify the deficiencies of the underperforming teams, particularly those where their rockstars’ performance was faltering. Over the course of their work, Simons and his colleagues identified eight elements of successful teams — that is, the key attributes and tools characteristic of teams that consistently outperformed others — and tested it with 40 teams. This criteria was developed for functional teams such as engineering and marketing; the company has also created Health Monitors for leadership teams and service teams. 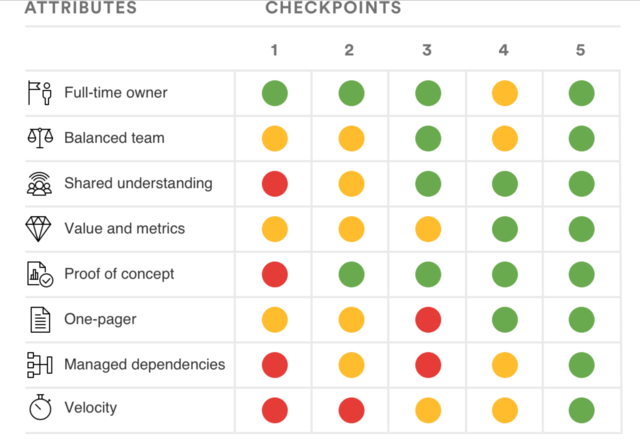 Ask teams who’s accountable for various parts of a project. Unsuccessful teams have to talk about it. Successful teams can point to the owner. Jay Simons at the First Round CEO Summit. At Atlassian, team health monitor sessions led to an improvement in team morale: people reported being happier and more productive. Teams became far more likely to hit their goals. Perhaps the most convincing endorsement of the health monitors was their usage went up — they weren’t requirements for teams, but they were using them of their own accord. Initiate a health monitor at will. Any teammate can trigger a team health monitor. Create “two-pizza teams.” As coined by Jeff Bezos, these are groups of 6-10, essentially the size of team that can be fed by two pizzas. Do health monitors regularly. This varies, but the key is to develop a cadence. At Atlassian, one team ran a five-minute review every morning, while more stable teams did them every two to four weeks. “Don’t run it so often you get frustrated because you can’t take action on the findings, but no so infrequently that you find things you could have avoided,” Simons says. A team facilitator, who leads the session. Don’t settle, or say things are OK just to move on. It’s not about the leader or an individual, instead it’s a constructive and open dialogue about better collaboration. Don’t dive into problem-solving until the end. Once you’ve set up the room and laid down the ground rules, split the team of 6-10 people into groups of two or three. “The reason we break up the original group into smaller teams is to balance a diversity of viewpoints in an environment where each one can voiced. Then the groups reconvene to try to reach agreement around where things stand,” Simons says. These small groups should decide how well the team rates on each of the eight attributes of successful teams by placing a red, yellow or green post-it note by each trait. Red stands for bad, yellow stands for so-so and green stands for good. With each rating, groups write one — and only one — bullet point or observation that led them to pick that color. Resist the temptation to solve problems at this stage — instead, just focus on observations for now and getting raw ratings as small teams on the board. 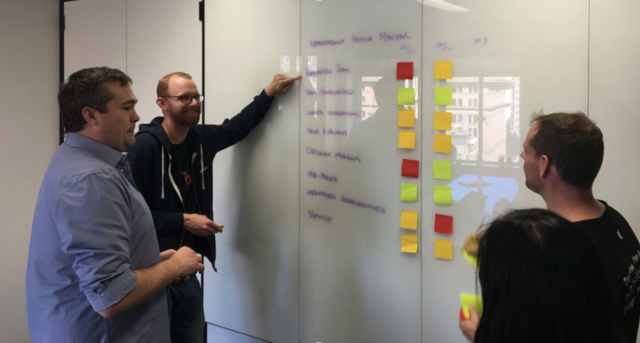 Your facilitator — Dom, in Atlassian’s case — then helps the whole group find consensus around their ratings. The smaller teams come back together to talk as a whole. Each group talks through why they rated an attribute the color they did. Dom asks questions to find commonality. His goal as a facilitator is to arrive at a single rating for each attribute across the entire team of 6-10 people. “The rule here is where there's discrepancies or differences of opinion, we always downgrade. We try to look for consensus or unanimous voice versus just one strong voice. Where there’s dissension, we always downgrade to yellow or red and say that there's some things that we can work on to get everybody on the same page." Now it’s time to spend around 20 minutes picking two or three things marked red or yellow to work on. Your facilitator should suggest different ways the team can move the ratings in a positive direction. Guide the conversation towards items that are actionable, specific and measurable, and create clear due dates and assignments for those items. Like a physical, team health monitors are meant to be preventative. We’re issuing vitamins here, not painkillers. When it comes to monitoring the health of your organization, teams should take priority, not individual performance reviews, which can be overemphasized and over-leveraged. Keep in mind the eight traits of successful teams: individual accountability, diversity, shared beliefs, aligned values and metrics, proof of concept, a readme document, managed dependencies and velocity. Create a team health monitor session and have groups rate their team on each trait. From there, choose up to three issues to work on. Address problems that come up by looking to existing frameworks or using data to understand why previous approaches have failed.